L’Ecole Surf Attitude is the most ideal way to learn to surf or improve your surfing level throughout the year in Senegal. Dakar’s many beach breaks provide safe and easy waves for all levels of surfers. Group or individual lessons will help you discover and learn the basics of surfing while our instructors will be there to advise you and ensure that you are confident in the water. For those wanting to take their surfing a step further- the school offers assistance in preparing for competition. The Surf School ensures safety with our experienced team of instructors. 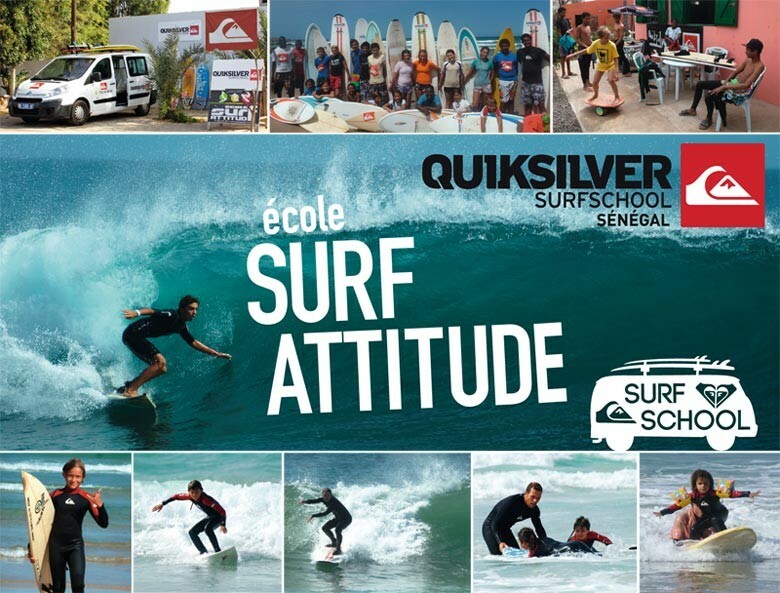 L’Ecole Surf Attitude will provide you with the best european standard equipment for your level and size. The school also provides free shuttle transportation A / R to the best sites. To date, the school has many champions in different categories in local competition as in all of West Africa.